Textbooks are expensive. Many cost well over $100. Four or five classes at that price puts a dent in anyone’s budget. Highly-priced textbooks can also put a dent on a whole lot more, a 2016 survey recently found. More than 50 percent of students at public higher education institutions in Florida reported spending more than $300 on textbooks – according to the survey, which was conducted by the Florida Virtual Campus’ Office of Distance Learning & Student Services. 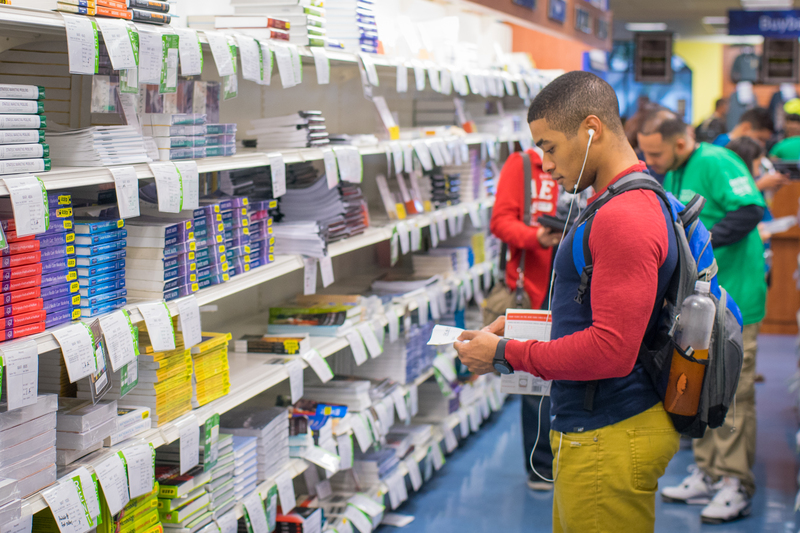 Nearly 48 percent of students reported taking fewer courses because of textbook costs. And almost 40 percent said they earned a poor grade because they couldn’t afford to buy the textbook. To help students succeed and meet their needs, FIU made it one of its goals to reduce textbook costs. Numerous initiatives around campus have flourished as a result. Most recently, FIU Online is heading the Affordability Counts initiative to make higher education more affordable for students by recognizing faculty who keep the costs of their course materials down. Faculty self-nominate their course as an affordable course, and after review from a committee, courses receive the Affordability Counts Medallion. To receive the medallion, faculty must have selected course materials that cost $60 or less, in new condition (cannot be $60 for a used or rental book). This semester, 42 courses received the Affordability Counts Medallion, bringing the total number of courses to receive the honor to 96 (21 face-to-face classes; 67 online classes; 8 hybrid classes). It also shows the dedication of professors at FIU to help their students. Finding books that have low costs is not always easy. But FIU faculty like Roxana Corradino, who teaches art history, spoke to her textbook publisher representative about how textbook costs could be reduced. And it worked. She didn’t change her course content or material. But, the cost of her class materials, now a special edition e-book, went down to $60. A student in Corradino’s class, Nancy Bender, who is 66 years old, decided to start at FIU as an interdisciplinary studies major this semester. Bender says when she first went to sign up for Corradino’s class she was surprised to see the textbook’s cost was more than $200 at the time. She reached out to Corradino to ask her about the textbook, and Corradino told her to wait – the price reduction was coming soon! Another component of the initiative is also to provide a collective database of information about low-cost materials for faculty to see how their fellow faculty members are reducing costs of course materials. Riquelme, who is the chair of an infrastructure workgroup for the Board of Governor’s 2025 Strategic Plan, says there are several major obstacles holding faculty back from embracing low-cost materials. One obstacle: where to find low-cost materials. Faculty are encouraged to use available free articles and materials, cheap textbooks, inexpensive publisher access code and self-published materials. They are also encouraged to find Open Education Resources. Open Education Resources are educational materials that have been published under the Creative Commons License, and can be used and reproduced by educators for free. But, as Riquelme says, not every Open Education Resource, self-published textbook, or online resource offers valid and accurate material. How can faculty verify the sources they come across and make sure the textbook they are using is not only low-cost but also accurate, containing high-quality information? Enter the Affordability Counts website (lowcost.fiu.edu). Faculty who receive the medallion share information about the resources and materials they are using in their courses. This provides a rich resource for all faculty throughout FIU to check what low-cost materials their colleagues, which may be teaching the same class or a similar topic as them, found reliable. And, Riquelme says, since the entire State University System uses the same course name and numbers for common core classes, faculty from within FIU and across the state can potentially use the website as a resource. In addition to the Affordability Counts program, FIU has created the FIU Textbook Affordability Task Force, led by the Office of the Provost; the task force ensures the university follows the state-wide requirements, such as posting required or recommended course materials online 45-days prior to semester start, to allow students plenty of time to shop around and obtain the materials at the lowest possible cost. Through course reserves, the FIU Libraries provide students thousands of course materials they can temporarily check out from the library free of charge; and the Barnes and Noble bookstores at both FIU campuses offer to match textbook prices that are lower through other vendors.